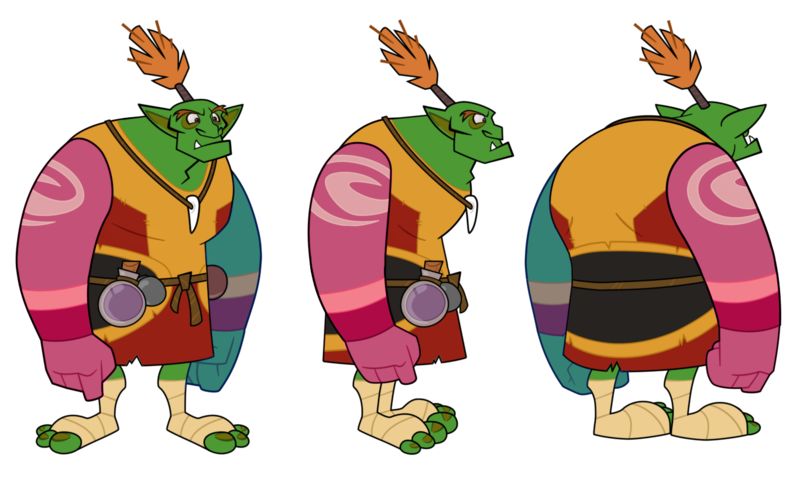 In the event that you've forgotten to add a prefix or suffix to your character's drawing layers, you can add them after your layers have been created. 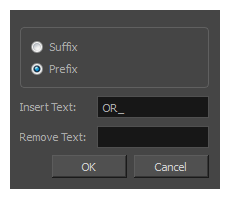 Select the Prefix or Suffix option depending on what you want to add to the layers' name. The defined prefix or suffix is added to the selected layers. Select the Prefix or Suffix option depending on what you want remove from the layers' name. Type the prefix or suffix information to be deleted from the layer's name. The defined prefix or suffix is removed from the selected layers.